iPad Hire wanted a new website to promote their business which hires phone and tablet devices for conferences, training days, schools and events. We went through the brief with the client and defined the focus of the website and the call to actions they required. 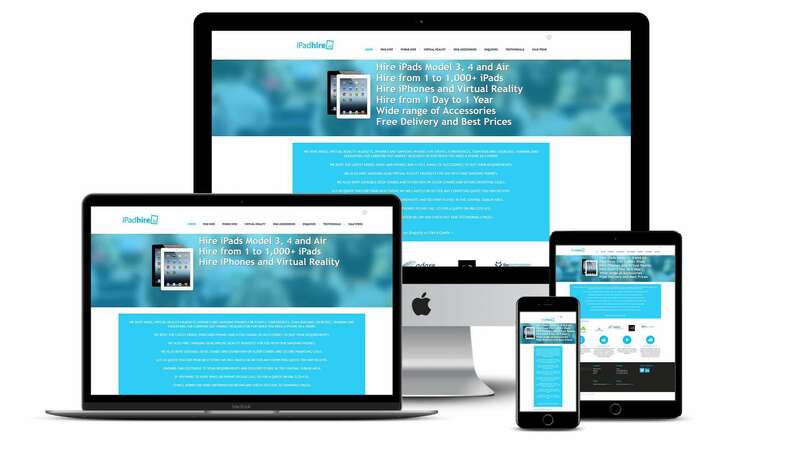 The website was built to showcase the products they offered with an easy enquiry form which gathered the customer's details and additional information such as cover protection. iPad Hire received a fully bespoke website with a content management system to allow them to add new products and clients. The website is fully responsive to work across all devices and contains an enquiry form so customers can get in touch and provide all the relevant details about their needs.